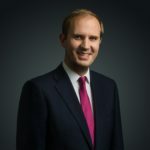 Please click here for a copy of an article by James Berry in The Times concerning the statutory duty of candour which came into force today. The introduction of the duty was recommended by Sir Robert Francis QC following his 2012/13 inquiry into failings in patient care at the Mid Staffordshire NHS Foundation Trust. Sir Robert is currently chairing the NHS whistleblowing review. A scanned copy of the piece is available here for those who do not have a subscription to the newspaper.